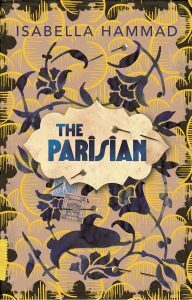 The role of imperialism (French, Ottoman, British) in the tortuous history of Middle East is never far away in this absorbing first novel set in France and Palestine during the first decades of the twentieth century. These are years more often seen from the partisan perspective of Western protagonists, or romanticized in fiction and film; so readers must prepare to be shocked. Soon after the beginning of the First World War, a shy young student, Midhat Kamal, travels to Marseille from Alexandria at the age of nineteen, to lodge in the household of Dr Molineu, sociologist and anthropologist at the University of Montpellier, where Midhat will pursue his medical studies. Midhat, son of a Palestinian textile merchant, has been educated at a lycee-influenced high school in Constantinople. His new setting – the French provincial household of an academic – enchants him. Respectful sensibility on all sides delays acknowledgement of the deep and growing attachment between Midhat and Dr Molineu’s daughter, Jeanette, until a chance discovery brings this episode to an abrupt end. Angry and broken-hearted, Midhat moves to Paris, to join a friend from Damascus. He enrols at the Sorbonne to study history, is involved in intense political discussions, takes lovers and becomes a man. All the talk is of military campaigns, revolts, conferences, mandates, nationalism, independence. Midhat tries to forget Jeanette, but writes to her before he returns to his home city of Nablus, aged 24. His letter is received, but her reply is intercepted by his father, who forbids him from returning to France on pain of losing his inheritance. Instead, he must take a wife and learn the family trade. From now on, Midhat is known as al-Barisi (the Parisian). He is famous for his dandified elegance (from the mouchoir in his tailored breast-pocket to the polished shoes on his feet). Whatever else he may be, he is not a soldier – unlike so many in his home city, including even nuns, who turn to guerrilla warfare. After several refusals, his offer of marriage to Fatima Hammad is accepted but, on the sudden death of his father just before the wedding, the family business goes unexpectedly to Midhat’s step-mother. Midhat and Fatima must start a new business and make their own way. The vicissitudes of Midhat’s adult life are handled with great sensitivity, within a political narrative that is unusually searching. The reader is made to reflect upon and better understand divided loyalties, differing value systems, revolt against patriarchal as well as imperial patterns of behaviour. One of the betrayals in the story is academic in its purpose, but unforgiveably condescending in practice. As Midhat’s story draws to an end, he is living in a psychiatric hospital, not exactly mad but broken down by too many shocks and sadnesses. Some had expected him to become a politician: had he done so, he would have been no more likely to find a peaceful solution for the Middle East than anyone else. This debut novel by a young writer in her twenties is a feat of imaginative sympathy and retrieval. As with Alice Zeniter’s as-yet-untranslated French novel about the history of Algeria in the time of her grandparents and father, L’art de perdre, it is long and detailed and requires a commitment to historical understanding. The combination here of gripping personal and political stories in an action-packed historical narrative amounts, as it did in Hilary Mantel’s A Place of Greater Safety, to an impressive achievement.